Alexander Graham Bell made the famous announcement "When one door closes another opens". This quote may seem overly optimistic; but, there are many scientists and entrepreneurs that originally failed in their endeavors only to learn from their mistakes and move forward. 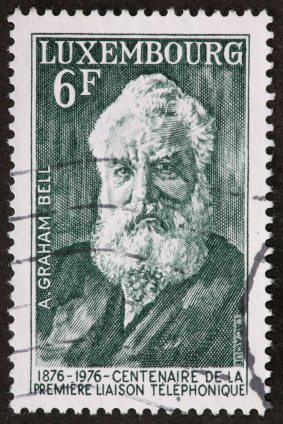 Alexander Graham Bell had many failures and setbacks in both his career and private life. However, he did not use these as reasons to quit; rather, he forged new opportunities for himself, his family, and his career. "When one door closes another door opens, but we so often look so long and so regretfully upon the closed door, that we do not see the ones which open for us." "When one door of happiness closes, another opens; but often we look so long a the closed door that we do not see the one which has been opened for us." He was well known for his work in speech language pathology, elocution, and speech, especially for the deaf. He was granted the first patent for the telephone. This quote is about missed opportunities. Many people do not like and, therefore, resist change. Not all change is bad, but sometimes the ambiguity of the change makes it difficult to see beyond. A closed door to some may mean loss or failure rather than an opportunity for development and growth. Those who do not dwell on what might have been but continue on to what could be are able to see the open door before them and follow Alexander Graham Bell's advice. "Who Said “When One Door Closes Another Opens\"?." YourDictionary, n.d. Web. 20 April 2019. <https://quotes.yourdictionary.com/articles/who-said-when-one-door-closes-another-opens.html>. Alexander Graham Bell made the famous announcement “When one door closes another opens”. This quote may seem overly optimistic; but, there are many scientists and entrepreneurs that originally failed in their endeavors only to learn from their mistakes and move forward. Alexander Graham Bell had many failures and setbacks in both his career and private life. However, he did not use these as reasons to quit; rather, he forged new opportunities for himself, his family, and his career.